Lyon’s First Whisky created by Ninkasi Brewery Has Arrived! Home » Breaking News » Lyon’s First Whisky Has Arrived! Lyon’s First Whisky Has Arrived! Per capita, the French drink the most whisky in the world. And they also create their own local blend like Ninkasi Brewery in Lyon. Turns out that despite being home to only a handful of whisky distilleries, the liquor is the preferred spirit in France. The French are very into Scotch whisky, and on average a French adult consumes 2.15L per year according to a 2016 study. 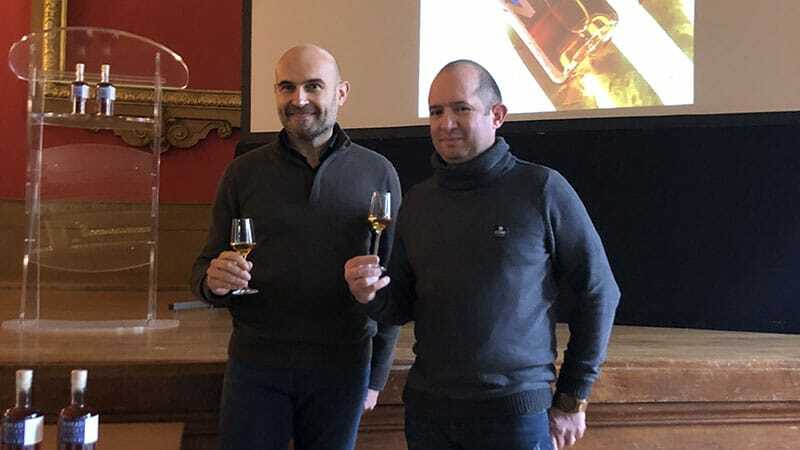 Luckily for us, Lyon now has its very first local whisky. Unsurprisingly, our brand new Lyonnais whisky comes from Ninkasi, who pioneered Lyon’s craft beer scene back in the 90s. A long fermenting dream, this project is the culmination of decades of passion from Ninkasi founder Christophe Fargier. Ubiquitous in Lyon, Ninkasi started after Fargier discovered micro-breweries while touring the USA. Ninkasi Gerland, a top tap room and music venue to this day, was born in 1997 as a bar and brewery. The brand expanded over the next decade into more bars and concert venues, and in 2012 they opened up their bigger brewery in Tarare, 50km northwest of Lyon. If you’ve been here for any length of time, you’ve enjoyed a delicious beer from Ninkasi. These guys are the original Lyonnais craft beer. Just like they pioneered craft brewing twenty years ago, today Ninkasi seeks to define what French whisky can be. With distiller Alban Perret, who is also a winemaker in Morgon, Beaujolais, the goal is not to copy anyone else, but create something uniquely French. With malt, plenty of access to old wine barrels, and Tarare’s celebrated water, what’s stopping France from making world class whisky? The answer is nothing but the drive to do so and some years in the barrel. This first batch is Track 1, so named for the first song on the album, and the next release will be Track 2, and so on. Track 1 is a single malt made from Pilsen, aged for the first two years in Condrieu barrels. Condrieu is known for its wine made from the highly aromatic grape Viognier, and is about 30 minutes south of Lyon. For some rounding out in its third year, the whisky goes into white Burgundy barrels. The whisky has a beautiful amber color, it’s very floral, with classic caramel aromas and something mineral as well. It’s elegant and sophisticated, clean and pretty. It is feminine and heady, not like an earthy Scotch at all. It certainly feels French, and different from other whiskies. I think this is certainly a space to watch, as this operation can only get better over the years. 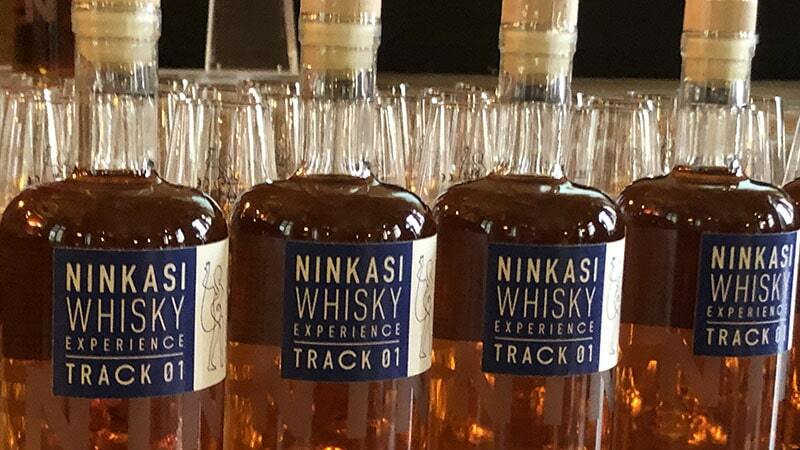 Lyon’s very first whisky, Track 1 from Ninkasi, is available to reserve online starting on the 23rd of November, to be released from the 17th of December. Reserve yours at whiskyninkasi.fr. They’ve only made 1000 bottles of this round, at 49.90€ a bottle, so get yours while you can! Track 2 will be coming out in May, and then Track 3 is due in September. Aliquam sit consequat. Phasellus massa libero. tempus at tristique dolor.